“TAIWAN SEMICONDUCTOR MANUFACTURING CO (TSMC) Taiwan is building the ‘world’s first’ semiconductor plant that will be able to support the creation of 3nm node silicon chips. While the company has been talking about building the 3nm fab for a while, recent rumours seemed to give the impression that fab would be built in the US, after President Donald Trump’s claims that more digital manufacturing was welcome in the country. However, TSMC has made it clear, according to DigiTimes, that it’ll be staying in Taiwan at the Tainan Science Park to “fully leverage the company’s existing cluster advantage” and see the benefit of a “comprehensive supply chain”. 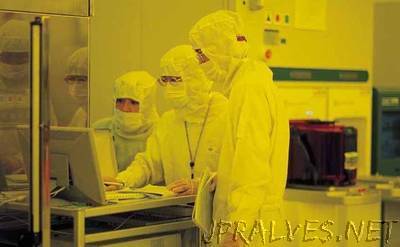 The firm already operates a 5nm fab in the same location, so it’s not an illogical leap, though TSMC hasn’t started producing 5nm chips yet. Its website saying that these are “scheduled to start risk production in the second quarter of 2019”. IBM, meanwhile, has successfully created 5nm silicon chips already, having revealed back in June that it had used silicon nanosheets in a “Gate All Around” field-effect transistor (GAAFET) setup. TSMC is continuing to back the 7nm FinFET (Fin Field Effect Transistor) process for 5nm - essentially a “3D” non-planar transistor that resembles a fin. Hence the name. However, despite the fact that the GAAFET approach could feasibly support the manufacture of 3nm chips, IBM has - probably quite wisely - not elaborated as such, with TSMC’s boasts seeming to give the impression that it may get to the hallowed ground first.